Arrived promptly, reasonable price. Unable to use until the weather improves. Concentrated moss killer to kill moss, green algae, fungi, mould, mildew and lichen on external hard surfaces. 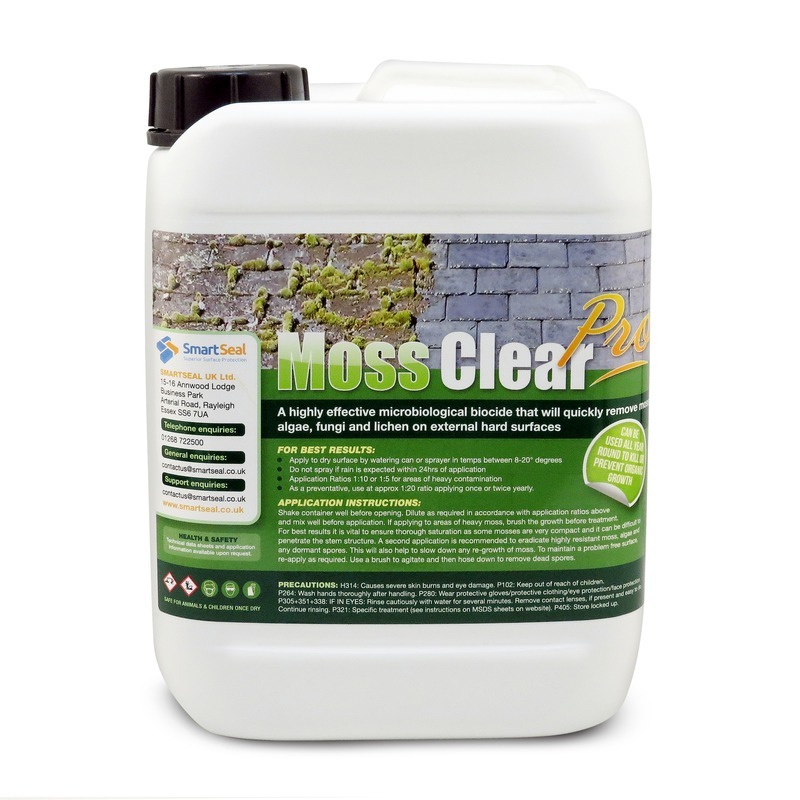 MOSS CLEAR PRO is a highly effective microbiological biocide that will break down and kill moss quickly. 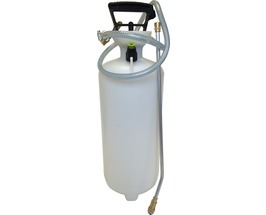 It will also swiftly erase and prevent regrowth of mould, algae and mildew which are potential health hazards. 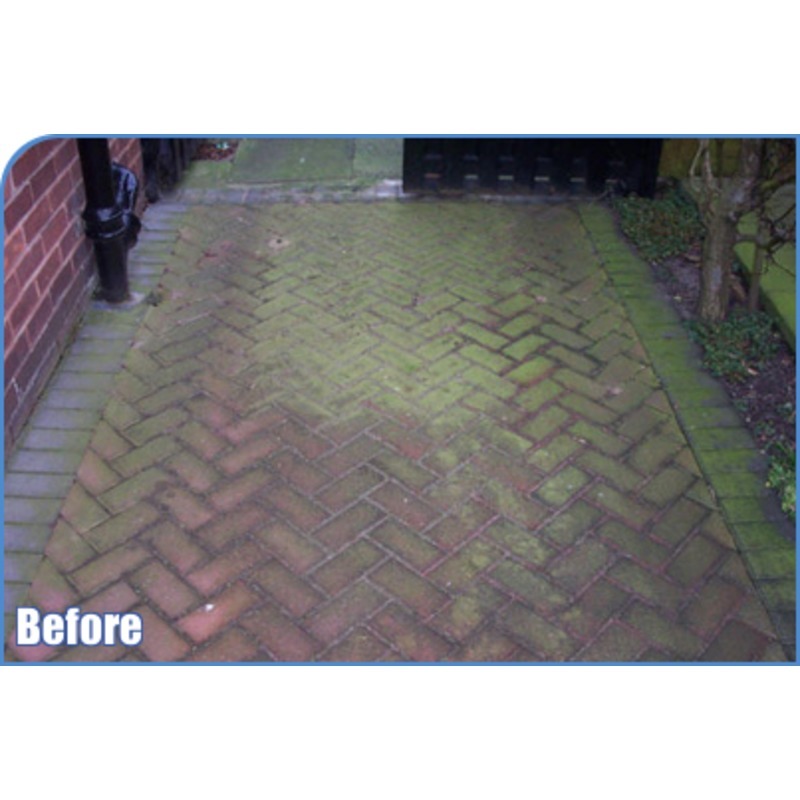 Moss Clear Pro works as a moss killer and moss remover on most external surfaces such as driveways, patios and roofs. Regarded by professionals as the best moss killer for tarmac and asphalt driveways. 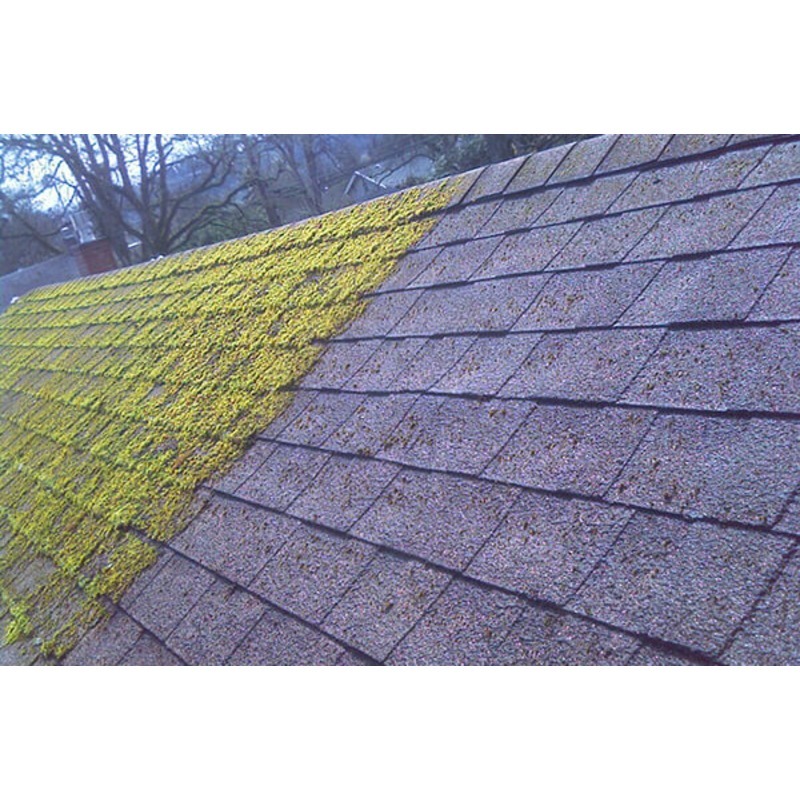 It is a stronger formulation that Moss Clear which is frequently used by homeowners for DIY purposes. 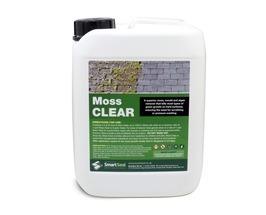 It is a a very effective roof moss remover and used extensively for roof cleaning throughout the UK and Ireland. 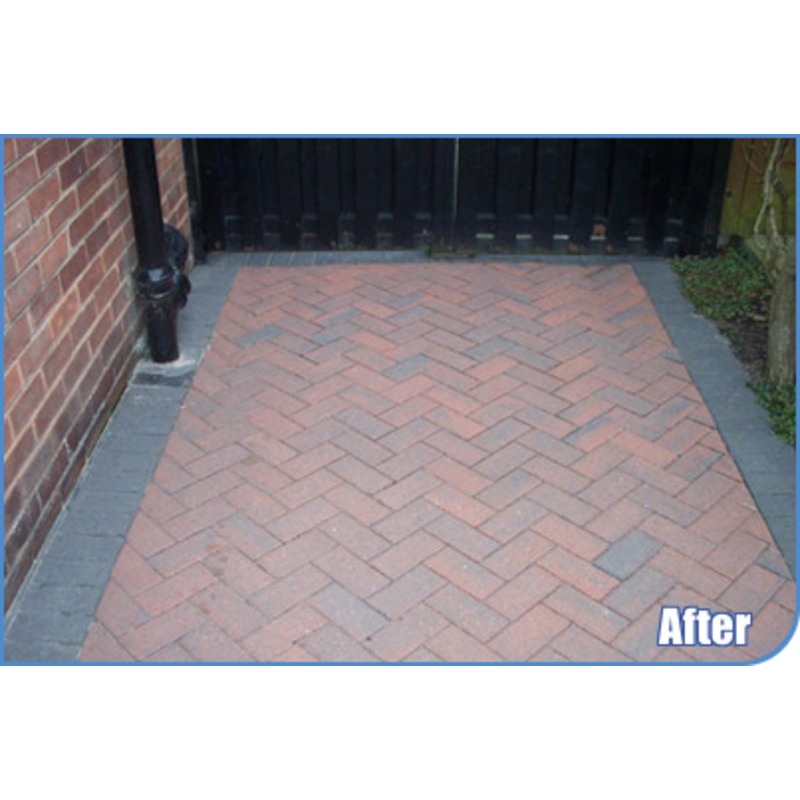 Can also be used as a moss inhibitor to prevent moss growth on roofs, driveways and patios. Shake container well before opening. 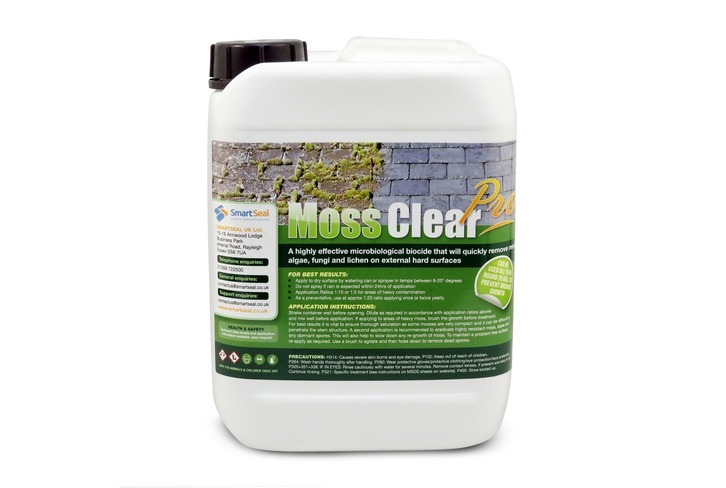 Add Moss Clear Pro to water in container to avoid excessive foaming and mix well before application. If applying to heavy moss, brush the growth before treatment. For best results it is vital to ensure thorough saturation as some mosses are very compact and it can be difficult to penetrate the stem structure. A second application is recommended to remove highly resistant plants and lichen as well as dormant spores. This will also help to delay any re-growth of moss. To maintain a problem free surface, re-apply at least once a year. Use a brush and hose to agitate and remove dead spores. Can be used all year round to eradicate or prevent organic growth - safe for animals & children once dry. To download the Safety Data Sheet (SDS) click here.